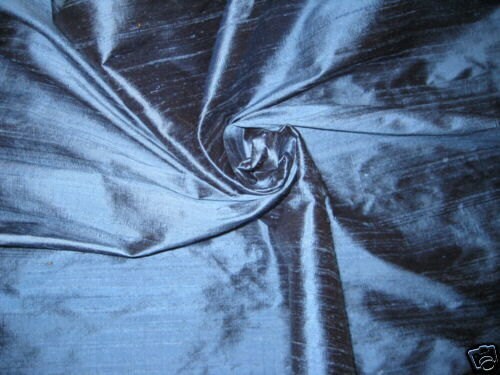 Rich Blue dupioni silk fabric. Brand New High-End Dupioni Silk Fabric Yardage. 45 inches wide. This is a beautiful dupioni and well suited for my project. This fabric is indeed of higher thickness/weight than some I have ordered. Excellent quality!!!! I would love it if they had even more variety in colors as I would certainly order more, but I will at the very least order swatches for additional colors I’m interested in. When looking to match up to vintage design project, swatches are the only way to go! Very pleased with this fabric!! A+++++ Perfect Transaction! Thank you! Beautiful fabric! Thank you for an easy transaction!